Twice-weekly sessions with Evans’ uniquely lyrical style of modern dance technique. Appropriate for dancers who have reached the intermediate or advanced level in modern, contemporary, ballet or jazz. All ages welcome. 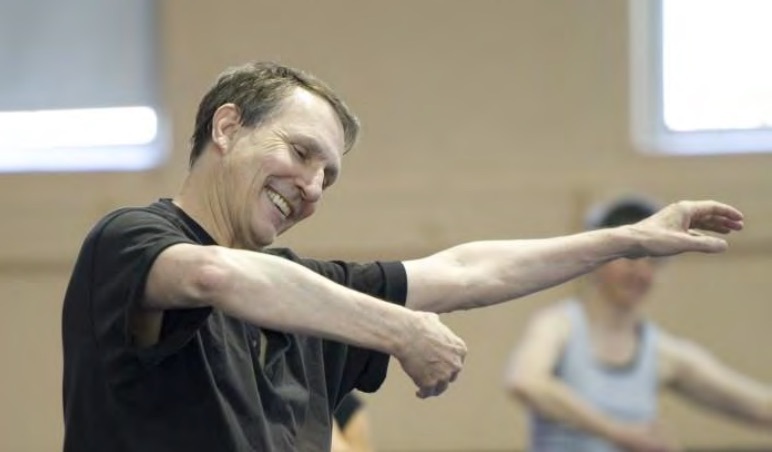 Evans built his technique on his profound study of ballet and classic styles of modern dance, and on a decades-long study of the Laban/Bartenieff Movement System. His work enables dancers to avoid dance injuries, extend their dancing years, discover personal uniqueness and embody dynamic expressivity. Bill Evans has a long-established international reputation as a modern dance and rhythm tap dance choreographer, performer, company director and educator. He is perhaps best known as the creator of a Laban/Bartenieff-based dance technique that is disseminated in annual summer institutes and taught throughout North America. He moved to Providence in August 2014, when his husband, Don Halquist, became dean of the Feinstein School of Education and Human Development at Rhode Island College. Since that time, Evans has presented his choreography and performance at AS220 and RIC, and he has choreographed for Fusionworks Dance, Newport’s Island Moving Company, and the dance companies of Rhode Island College and Providence College. He was awarded the RISCA Choreography Fellowship in 2016. His first appearances at Brown University took place in 1980, when the Seattle-based Bill Evans Dance Company fulfilled a month-long Rhode Island residency under the auspices of RISCA and the National Endowment for the Arts’ Dance Touring Program.